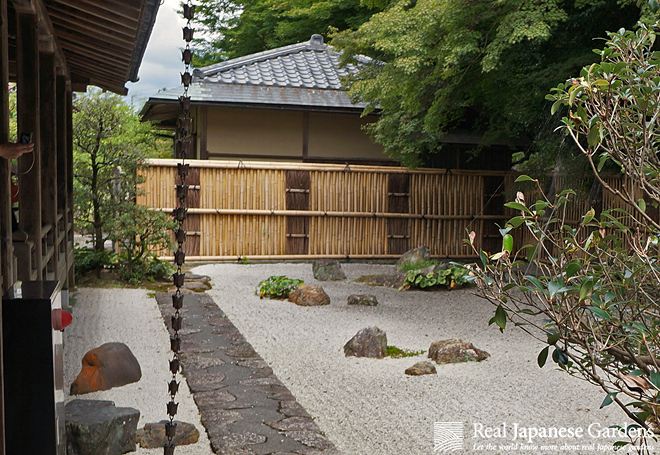 In Japanese gardens as well as in Western gardens, fences can have many different functions – from being mainly practical, subdividing the garden or separating it from the outside to being a more decorative element. Bamboo is a very light and easy to work material. It is strong, yet flexible, which allows for a great variety of practical uses and designs. As a building material for the outside, where it is exposed to sun and rain, it is relatively short-lived. 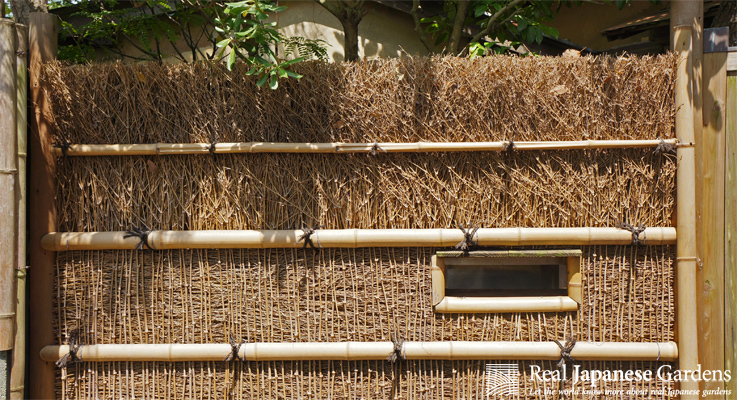 Especially when the bamboo is in direct contact with water or soil, it weathers rapidly. Still, even though a fence may last only around 5 years, it ages gracefully. 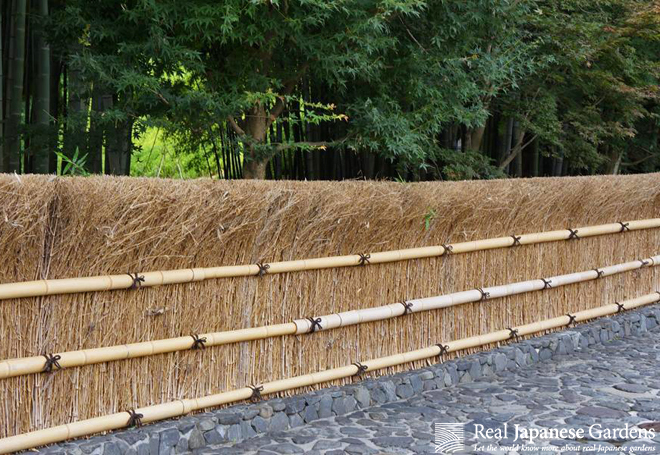 Part 1 deals with the most important tall bamboo fences.